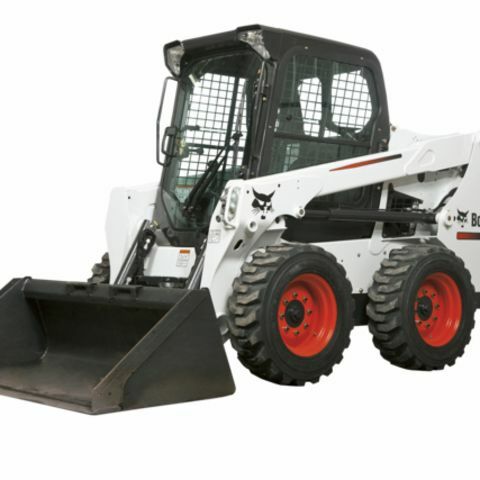 The term Bobcat has come to stand for nearly any small loader rental, whether tracked or wheeled. 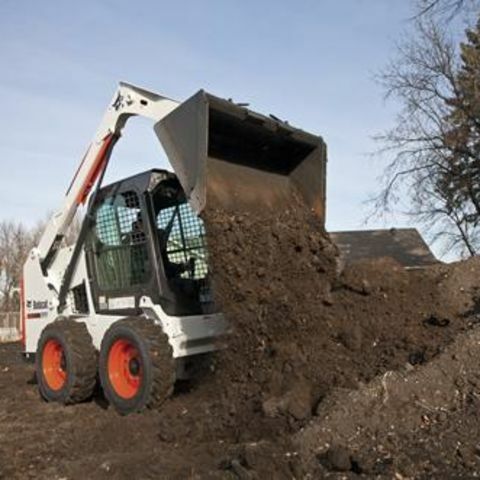 This wheeled, enclosed-cab model in the the Bobcat 500 series comes standard with a 40 inch bucket. It has an operating weight of just over 6,200 pounds, a 1,650 pound operating capacity and 3,300 pound tipping load rating. 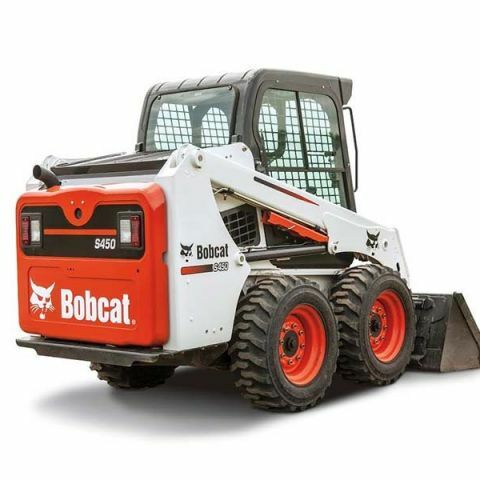 Powered by a 49 HP diesel engine, this Bobcat rental provides a solid 17.1 gpm flow to a range of hydraulic attachments. the bucket holds roughly a 1/2 yard of material, and it can pick up 1,650 pounds easily, up to 3000 pounds before tipping. Can i move a boulder with it? 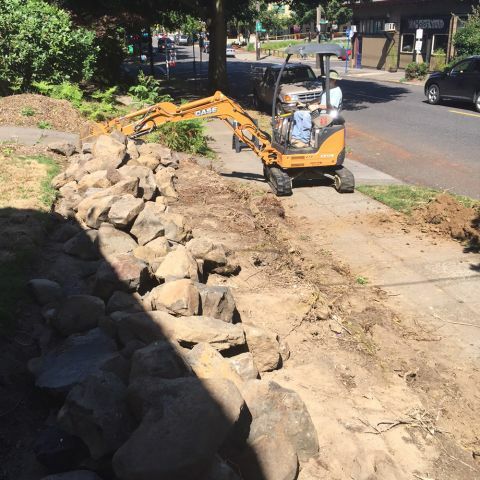 Yes,depending on the shape and weight of the boulder, you should be able to pick up most rocks that need moving. 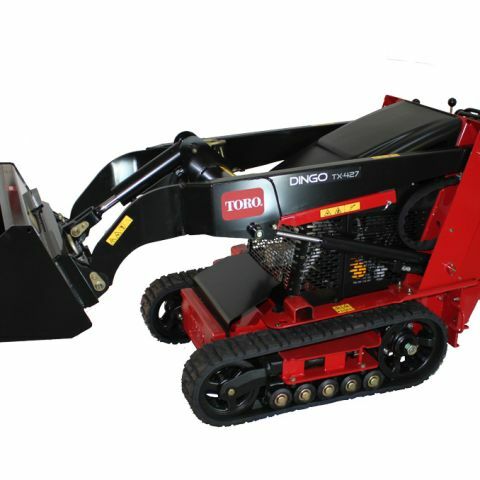 However, optional forks or a grapple bucket attachment rental can make moving things like rocks or logs even easier. 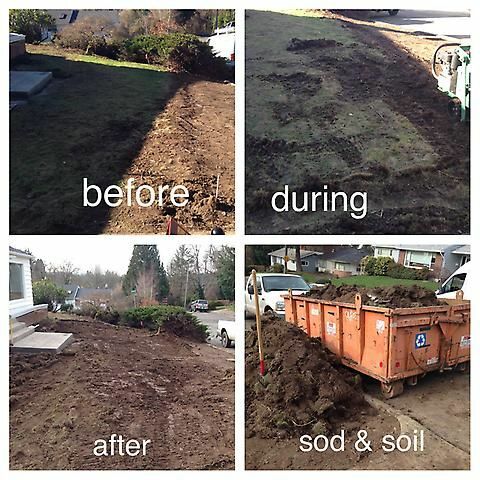 Measure area, make sure it's the right size for your job. 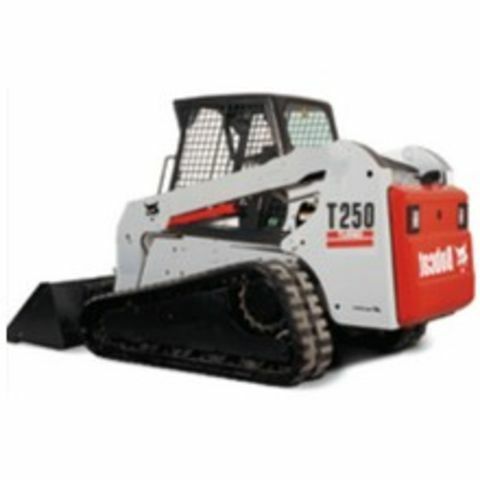 Most rental centers will require a 3/4 ton truck or bigger to tow this machine. 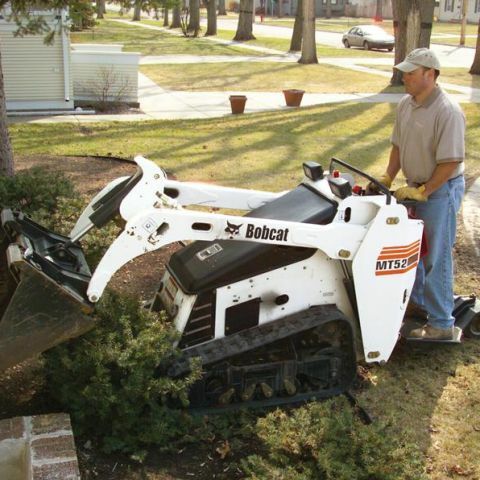 Identify and mark water and sprinkler lines in the work areas -- while the tracks go easy on lawn and garden surfaces, at 6,213 pounds this tracked loader is heavy enough to damage shallow utilities.